Infectious diseases are diseases that are contagious i.e. capable of getting transmitted from one person to another. They are caused by pathogenic microorganisms like bacteria, fungi, virus or parasite. They are known to be a major cause of increasing mortality rate worldwide. They are caused by ingestion of contaminated food or water or touch or inhalation. They may also be transmitted sexually or by insect bites. Signs and symptoms of the disease depend upon the type of microorganism causing the infection, extent of the infection caused and the number of microorganisms causing the infection. In the case of mild infections home remedies often help in curing the disease. Treatment involves vaccinations, antibiotics, and hand washing. The coconut tree is cultivated mainly for its abundant medicinal and nutritional properties. 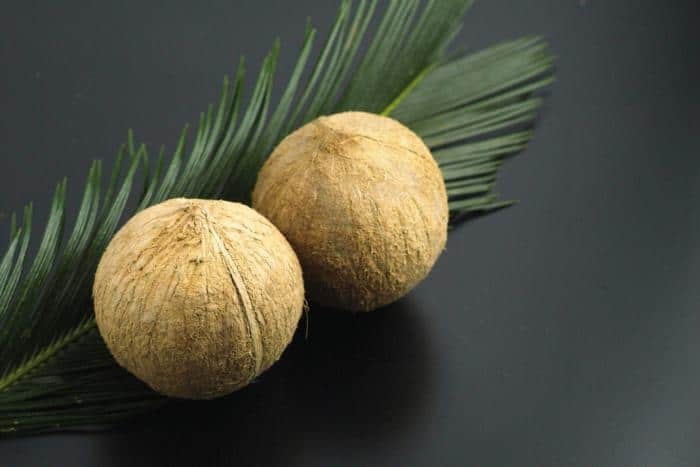 Coconut oil also popularly known as copra oil is edible and is extracted from the kernel of mature coconut of the coconut palm tree, Cocos nucifera. Coconut plantations are found in abundance in the tropical countries. Coconut oil has amazing health benefits and plays an important role in medicine. Its role in infectious diseases has been verified by various research studies. Its use has been found to play an essential role in preventing a host of infectious diseases. Various studies have confirmed the therapeutic benefits of coconut oil in infectious conditions. Candidiasis is a fungal infection, most commonly characterized by rashes inside your mouth also referred to as thrush. Babies and older adults are more susceptible to infections caused by Candida species. Antimicrobial properties of coconut oil have found to be effective against Candida species. According to a research study published in the Journal of Medical Food in 2007, Candida species in clinical specimens were found to be extremely sensitive to virgin coconut oil as compared to an antifungal medication, fluconazole. The study concluded that coconut oil could be effectively used as an antifungal agent in cases where the Candida species are resistant to drugs. Another research study conducted by Shino et al. compared the efficacy of various antibiotics and coconut oil and revealed that coconut oil showed significant inhibition of Candida species isolated from children suffering from a candida infection. Coconut oil is effective in preventing fungal infections caused by Candida species that are highly contagious. Its ability to act as an antifungal agent is mainly due to its antimicrobial properties. It can be used for the treatment of candidiasis and can replace drugs to which Candida species have become resistant. Food poisoning is mainly caused by bacteria, Staphylococcus aureus, and E.coli. Food poisoning occurs due to the consumption of contaminated food or water. Meat, poultry, and dairy products are easily contaminated or contain pathogenic bacteria. Consumption of food that is not properly cooked can also lead to food poisoning. Coconut oil has essential anti-bacterial properties that can prevent food poisoning. A study published in International Journal of PharmTech Research in 2014 determined the antibacterial activity of coconut oil free of triglycerides and diglycerides as they do not show any antibacterial activity. It is the free fatty acids and monoglycerides like lauric acid and monolaurin that exhibit this property. The anti-bacterial activity was tested against Salmonella typhi, Salmonella aureus, and E. coli and it was observed that coconut oil was effective against all three bacteria showing maximum inhibition of S. aureus. Livestock contamination by Clostridium difficle is common, and this may enter the food products. The antimicrobial properties of medium-chain fatty acids found in coconut oil have found to be effective against infections caused by Clostridium difficult. According to a research study, lipolyzed coconut oil inhibited the growth of C. difficle. Coconut oil has found to be effective against most food poisoning causing bacteria. Although it has found to be lesser effective that other generic antibiotics like tetracycline or chloramphenicol, it is a natural agent and therefore has no side effects or allergies that are common with antibiotics. AIDS (Acquired Immunodeficiency Syndrome) is caused by a virus called HIV (Human Immunodeficiency virus). The virus affects the immune system, and the patient becomes vulnerable to other secondary illnesses which is the major cause of death. A study conducted by Dayrit et al. reported that when AIDS patients were administered with coconut oil, the viral load was significantly reduced. Coconut oil also enhanced the effectivity of anti-HIV medications that were unable to act effectively alone. Coconut oil has been found to fight viral infections due to the presence of medium chain fatty acids in it that break down the lipids present in the envelope of viruses thereby killing the pathogenic viruses. Consumption of Coconut oil along with cod liver oil (enriched with Vitamin A) defends the body from the HIV. It has also been reported that coconut oil is enriched with monolaurin formed from lauric acid is the strongest defense against the HIV infection. In the absence of a permanent cure for AIDS, the properties of coconut oil in treating AIDS seems like a boon for the HIV patients. Coconut oil can enhance the efficacy of treatment for AIDS. Measles is another viral infection that is highly contagious and is spread by the measles virus. Early signs and symptoms include high fever, cough, runny nose and inflammation of the eyes. Coconut oil has anti-inflammatory properties that can help fight signs of inflammation. And provide relief to the sufferer. Another study reported the use of coconut oil as an adjuvant along with adjuvants derived from other plants in inactivated measles vaccines for improving immune responses against measles virus. Coconut oil helps alleviate symptoms of measles and can be used as an adjuvant to improve effectiveness of vaccinations currently employed for the prevention of measles. Coconut oil has been found to be effective against a large number of viral diseases especially against fighting virus enveloped with a lipid coating such that the Influenza virus. According to a research study, fatty acids present in coconut oil have been found to destroy viruses by interfering with their assembly and maturation. Monolaurin present it in coconut oil solubilizes the lipids and phospholipids present in the membrane of these pathogens leading to their disruption. The study recommended the use of coconut oil in formulating vaccinations for influenza. Influenza is highly contagious, and thus it is important to prevent the spread of the influenza virus. Coconut oil can be used in the formulation of vaccinations for preventing infection by influenza virus to enhance the efficacy of the vaccination used currently and to replace those to which the virus has become resistant. Acne is a skin infection characterized by blackheads, whiteheads, pimples, and reddening of the skin. Coconut oil is rich in lauric acids. A study published in Biomaterials in 2009 reported that lauric acids have tremendous antimicrobial potential that can be used against Propionibacterium acnes, bacteria that promote inflammation in acne. Lauric acids can prevent acne inflammation and can be safe and effective therapy in treating the condition due to its strong capability to kill the causative bacteria. Liposomes are phospholipid molecules that are used to carry drugs and other substances inside the body. Another study showed that administration of lauric acids along with liposomes interfere with the bacterial membranes and kills the causative bacteria of acne. The activity of lauric acids found in coconut oil was enhanced when incorporated along with liposomes. Lauric acid found in coconut oil has been found to have great anti-bacterial property effective against the main causative agent of acne. Coconut oil can thus be used for the treatment of acne. Here are a few proven health benefits of coconut oil that can help fight infections. Oxidative stress is the manifestation of reactive oxygen species by the body’s immune system to protect the body against pathogens. However, excessive oxidative stress may, in turn, lead to the development of various other diseases and affect the body’s immune system making it susceptible to infections. Hence it is important to control levels of oxidative stress while suffering from infectious diseases to avoid further complications. According to an experimental study conducted by Marina et al. in 2009, virgin coconut oil showed significant antioxidant activity by scavenging free oxygen radicals. This property of coconut oil was concluded to be due to the presence of phenolic compounds in it. An experimental study published in Food and Function in 2013 reported that Virgin coconut oil contains high levels of unsaponifiable compounds that are biologically active like tocopherols and polyphenols. This composition provides an enhancing antioxidant properties of coconut oil. The study demonstrated that virgin coconut oil significantly prevented peroxidation of lipids and protein oxidation products thereby reducing oxidative stress. Coconut oil is rich in anti-oxidative compounds like phenolic acids, tocopherols, and polyphenols that prevent oxidative stress and can help avoid further complication in infectious diseases. When a pathogen enters the body, the immune system responds by causing inflammation at the site of infection. Although it is the mechanism of the immune system to respond in this way to the pathogen it may sometimes lead to excessive inflammation causing pain and discomfort to the patient. Coconut oil shows anti-inflammatory properties and thus can be used to combat inflammation. Coconut oil has essential anti-inflammatory properties. According to a study published in Pharmaceutical Biology in 2010, coconut oil significantly reduced chronic inflammation in mice suffering from inflammation in induced ear edema. According to another research conducted by Lima et al. in 2015, the crude extracts of coconut have found to be effective in treating inflammatory illnesses like arthritis. In an animal study, these extracts significantly reduced inflammation by reducing the migration of cells to the infected site and production of inflammatory mediators. The anti-inflammatory properties of coconut oil have been proved by a variety of research studies and thus can be relied upon on treating inflammation caused by infectious diseases. Infectious diseases occur quickly in patients with a weak immune system. Patients in their recovery stage from an infection tend to acquire pathogenic diseases as a result of secondary infections. Also, an infectious disease can adversely affect the immune system and make the body susceptible to other illnesses like in the case of AIDS. According to a study published in Asian Pacific Journal in 2011 virgin coconut oil contains high levels of Zinc which maintain the production of immune system cells like neutrophils, T cells and inflammatory mediators like interleukins that help in combating the acquired infection. This property was observed when a patient suffering from Candidiasis was administered with Virgin coconut oil. A book, Eat Fat, Lose Fat mentioned that coconut oil rich in saturated fatty acids enhances the activity of the immune system. This can help keep a variety of infections at bay. The authors recommend intake of coconut oil along with cod liver oil to enhance its immunoprotective effects. Coconut oil maintains the immune system in the production of immune system cells. It strengthens the immune system enhancing its ability to fight infections. Certain bacteria enter the body and invade the stomach causing sores and ulcers. Ulcers cause irritation, pain, and discomfort to the victim of the pathogen. Coconut oil helps prevent gastric lesions and ulcers remarkably. An experimental study published by Korean Journal Publishing Service in 2015 reported that virgin coconut oil possesses anti-ulcer activity. The study showed that its administration helped in fighting gastric lesions as coconut oil significantly reduced the acid volume and increased mucous content in the stomach. Another study compared the anti-ulcer potential of virgin coconut oil with that of a drug called ranitidine (normally prescribed in ulcers). Virgin coconut oil was found to be more effective than the drug in treating ulcers; this was due to the remarkable composition of coconut oil like lauric acid, myristic acid, and palmitic acid. The phenolic content and antioxidative activity of coconut oils also contribute to gastroprotection. Pathogens that cause gastric ulcers can be dealt with regular consumption of coconut oil due to its anti-ulcer potential. Coconut oil is considered very safe for consumption and no side effects or toxicity caused by it have been reported yet. However certain precaution needs to be taken. Patients on a strict diet for weight loss must avoid coconut oil in their diet have it has been linked to weight gain. In general also if you wish to include it in your diet its use must be limited. Side effects like increased inflammation may result in certain patients in rare cases. If side effects are observed, one should immediately stop its intake. It may react with medications and cause adverse effects, so it is advised to maintain a gap while consuming coconut oil and taking medications. Dietary intake of coconut oil is practiced even during pregnancy in many parts of the world. However, due to the presence of conflicting experimental evidences it is advisable to exert caution in such a case. Thus, consumption of coconut oil on a regular basis can improve your immunity and prevent you from contracting a host of infectious diseases. 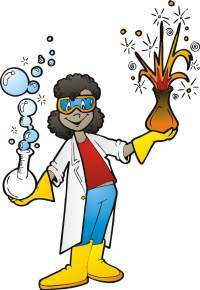 Microorganisms live everywhere; they are present in the soil, air, and water. Although various vaccinations and antibiotics are available for treating some infectious diseases, coconut oil seems to be a great option too. It is natural and does not pose any side effects like allergies or toxicity. Also, due to indiscriminate use of antibiotics infectious microorganisms are becoming resistant to antibiotics and in such cases, natural agents like coconut oil can play an essential role in treating them.